Is your racking system safe? Do you know how much weight your racks can take? Do you comply to the standards? Are you putting your people and business at risk? Don’t know the answer to these questions? Racking audits and inspections are mandatory to ensure your racking is safe and in good working condition. We recommend having these conducted every 12 months, either by your warehouse manager or one of MACRACK’s professional auditors. In the interests of health and safety, MACRACK suggests weekly or monthly inspections by your staff in order to identify any potential damage that has occurred and to monitor minor damage. The best practice is for your forklift drivers and other warehouse staff to keep a log of damage and identify it as it occurs. By openly discussing incidents and damage, reporting damage and managing it, you will soon find that staff become more careful and aware of how to recognise it. With the help of conscious staff and MACRACK’s expert auditing service, you can enjoy a safe work environment in your warehouse. Weight Loads – How much can your rack take? We are able to supply weight-loading signs for currently listed MACRACK products to ensure your racking is used correctly and safely. Independent auditors or other steel storage manufacturers are not permitted to give these signs on MACRACK racking, as per the standards AS4084-2012 Steel Storage Racking. Only manufacturers are able to give weight-load capacity on your product. Don’t trust just anyone – only MACRACK authorised inspectors are permitted to give MACRACK weight loadings and signs. Contact us today on 1800 048 821 to arrange weight loadings and signs for your MACRACK pallet racking. Receive full certification of your rack simply by downloading this form, filling it out and sending it back to us, including the required photos. Third-party racking inspectors can give simple safety audits but are not permitted to provide signage or give weight loadings on a racking system. If you receive a racking audit from a third party, you must go to the rack manufacturer to carry out repairs and provide valid safe work load signs, as the information from third-party inspectors is not accurate and non-compliant to the standard. If it doesn’t reach 2012 standards, does it reach 1993 standards? Have I contacted the manufacturer myself to confirm this opinion? Does this person stand to make money from me? Could they be giving me a scare campaign? We often see cowboy racking auditors creating scare campaigns by telling businesses that their racking isn’t up to code. It is always important to talk to the actual manufacturer, as they are generally happy to discuss your racking system and advise whether it is up to code. Green is minor damage calls for frequent monitoring. Damage can occur to all areas of the pallet racking system, the most obvious being dents, bumps and deformity to beams or frames. Other types of damage may be hidden, such as the rack not being plumb and square, missing safety pins, loose or missing dyna bolts, and missing or incorrect signage. We Audit All Brands of Racking! Contact MACRACK today on 1800 048 821 or fill out our contact form to organise a racking audit on any brand of pallet racking! Purchasing second-hand racking does not automatically guarantee you a more affordable option. 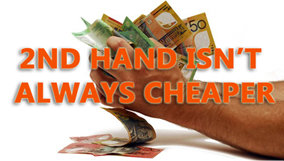 We often see people being quoted second-hand for the same price as new. These pre-used products may need to be upgraded to the new standard, so you are saving yourself time and money by purchasing a new system that meets the latest safety standards. Don’t risk buying a lemon – give yourself peace of mind with a safe and high-quality racking system from MACRACK. If you need a professional and thorough racking inspection, MACRACK can help. Call today to set up an onsite meeting with one of our auditors: 1800 048 821.